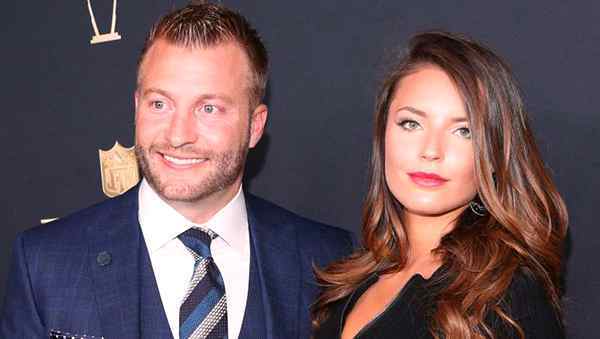 Is Sean McVay Married? Know His Wife, Girlfriend, And Relationship With Veronika Khomyn. Sean McVay is a renowned American football coach. He is currently the head coach of the Los Angeles Rams. Find out how he amazingly balances career and love life. Meet his girlfriend, Veronika Khomyn. Get to know if this celebrity is married to a wife or not. Sean McVay’s wiki-bio reveals that he was born on January 24, 1986. He is counting a few days now to celebrate his 33 birthday. He was born in Dayton, Ohio to his parents Tim and Cindy McVay. His father Tim was one time a football player at Indiana University. Here, he played as a defensive back. His grandfather whose name is John McVay is a former general manager of San Francisco 49ers. He played a big role in the making of the five Super Bowl-winning seasons for this team. 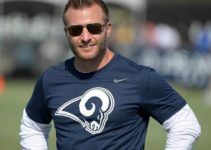 In 2004, Sean McVay graduated from Marist School which is in Brookhaven, Georgia. After high school, he proceeded to college at Miami University which is in Oxford, Ohio. He graduated in the year 2008. Sean McVay’s career is traced back in his high school life. While in Marist School, he started as a defensive back and quarterback. He played for the War Eagles football team for four years. 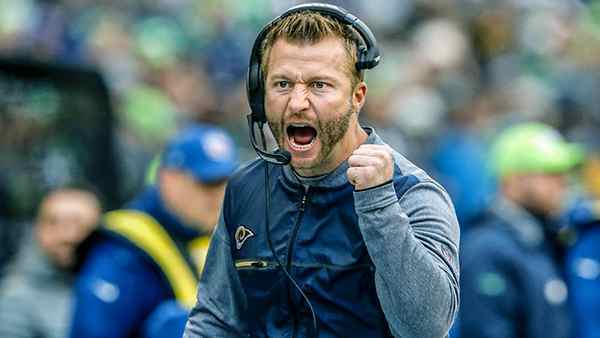 Sean McVay made a record in the school’s history at his time. He was the first player to achieve 1000 yards rushing and passing in consecutive seasons. Sean McVay led the War Eagles to a 26-3 record and also a 14-1 record. In his final year, the team won a state championship. He was in turn crowned as the Georgia 4A Offensive Player of the Year. He made advancement in his career during his college. From 2004-2007, he played for the Red Hawks college football team as a wide receiver. In 2007, he won the Miami’s Scholar-Athlete Award. READ MORE: Who is Maria Taylor Married to? Know Her Salary, Net Worth, Husband, Height, Wiki. Sean McVay’s coaching career took root in 2008. This was the time he was appointed as an assistant wide receiver’s coach. He was to coach Tampa Bay Buccaneers team under Coach Jon Gruden who was the leader. His professionalism in this job was incredible. He was immediately promoted to be the quality control and wide receivers coach. He was entrusted to oversee the training of the Florida Tuskers of the United Football League. In 2010, the football personality was contracted to be the assistant tights end coach for the Washington Redskins. He was working hand in hand with Mike Shanahan who was the head coach. 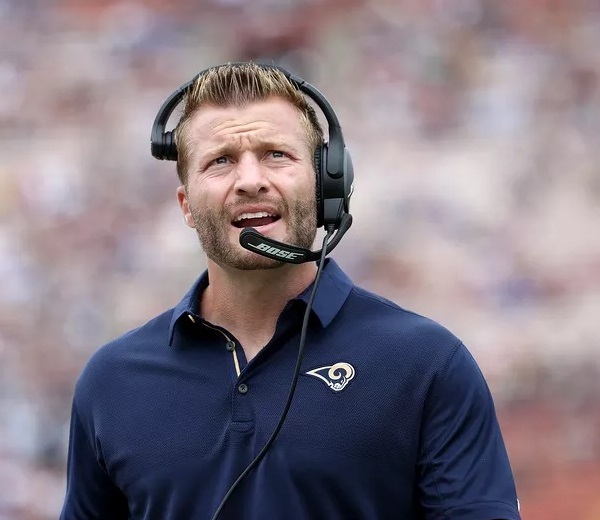 The following year Sean McVay was promoted to be the tight ends coach. He worked in this position up to 2013. From 2014 to 2016, he became the Offensive coordinator of the Washington Redskins. The name of this excellent coach was widely known within a very short period. On January 12, 2017, he was contracted by the Los Angeles Rams to become the team’s coach. Being 30 years old, he became the youngest head coach in the history of the National Football League. Sean McVay made his season first appearance as a head coach on September 10, 2017. This was a match against the Indianapolis Colts, and it took place at the Los Angeles Memorial Coliseum. Sean McVay led his team from victory to victory in that match and other matches that followed. His star as a football coach is now shining brighter and brighter. He is widely celebrated as he heads to the peak in his career. On January 19, 2018, the Pro Football Writers of America named him the Coach of the year. 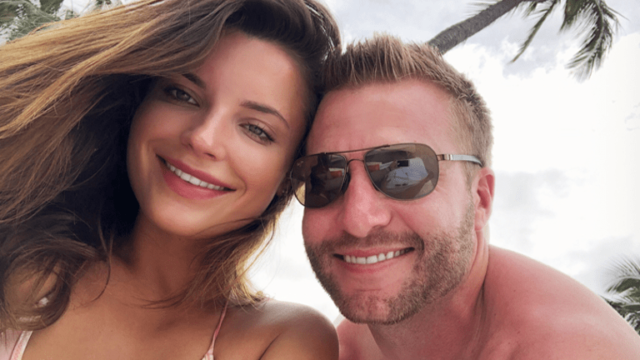 Sean McVay is not yet officially married. However, he is one of the few celebrities who have succeeded both career wise and relationship wise. He is in a serious romantic relationship with Veronika Khomyn. Veronica can be termed to be his wife because the two live together in Los Angeles. About children, the two have a baby boy who was born in 2016. They live happily just like a married couple even in public scenes. There are no records of this celebrity having married there before. There are also no records of children affiliated to him apart from his son with Veronika. Veronika Khomyn is the publicly known girlfriend to this celebrity. She was born as Veronika Nikolaevna in Ukraine. She lived in Virginia and attended George Mason University in Fairfax. She worked at the UFC Gym and also in DC Clubbing in Fairfax. There before, she had worked as a model. Wiki-bio information has revealed that the two met in 2010. That time Sean was an assistant coach. They have been dating since then until now. Though they don’t talk deeper details about their relationship, they are truly in love. They keep flooding the Instagram with their pictures together especially from 2016.
Who is Maria Taylor Married to? Know Her Salary, Net Worth, Husband, Height, Wiki.